Continuing the theme of groovy instrumentals on my blog here's a demo by a band called The Rogues. They entered Capitol studios, New York in April 1966 and cut several songs in one day. Only two of the songs, 'Going All The Way' and 'Go Ahead' were released at the time when Atco signed The Rogues but made them change their name to The Squires. According to the liners of the immense Squires retrospective on Crypt (issued in 1986 and on vinyl only!) 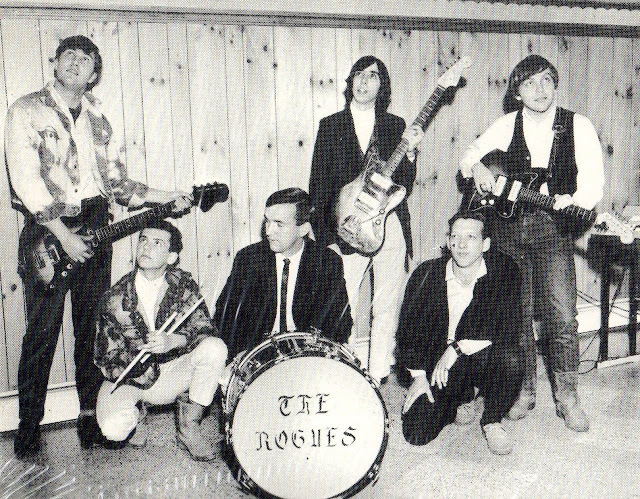 they had to change their group name because they were told a band called The Rogues already existed in England. They also had to dress a little more smartly.....ha ha bunch of squares at Atco.